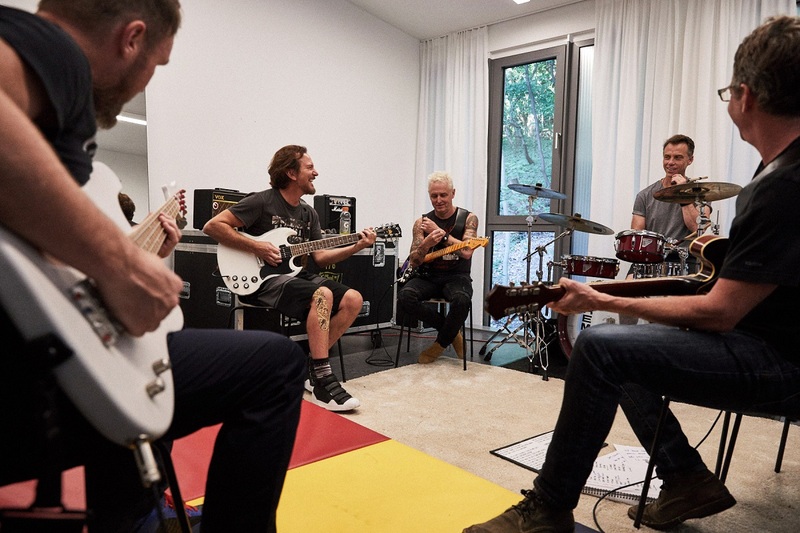 Pearl Jam: Starting to work on a new album? Pearl Jam were in their studio in Seattle two weeks ago. Photographer and director Danny Clinch shared a link on Twitter about a charity auction for one of his 2013 Pearl Jam pictures that will be sold in favor of the Kristen Ann Carr Fund. The caption of the soon after deleted tweet was: “A Danny Clinch picture of Pearl Jam, signed two weeks ago by the band members in their recording studio in Seattle”. What everybody wants to know now is: what were they doing in their recording studio? Did they really start recording a new album? Only time will tell.